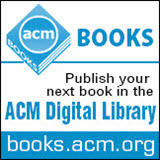 Welcome to the November 29, 2017 edition of ACM TechNews, providing timely information for IT professionals three times a week. 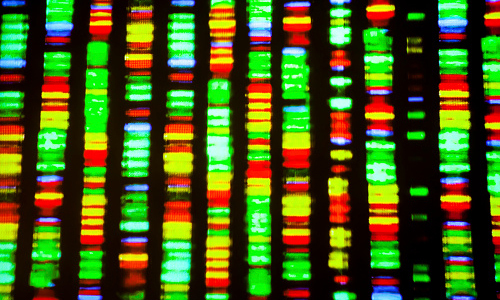 The sheer volume of genomic data tends to defeat machine-learning techniques, and Denis Bauer's team at Australia's Commonwealth Scientific and Industrial Research Organization has overcome this barrier with VariantSpark, a machine-learning library that analyzes genomic data in real time using the Apache Spark engine for big data processing. Once disease-inducing genes have been identified and analyzed, Bauer says, the CRISPR genome engineering system is tested to edit those genes in humans. She notes improving success rates require accelerating the identification of where gene editing can be performed, and cites the Amazon Web Services Lambda serverless computing service for making it possible to "trigger many functions in parallel easily and cheaply enough." Even so, Bauer says her team has had to devise workarounds to enable workload parallelization. The Celeste project written in the Julia productivity language recently demonstrated the first Julia application to reach 1.54-petaflops/second of double-precision floating-point performance, using the full complement of Intel Xeon Phi Phase II nodes on the U.S. National Energy Research Scientific Computing Center's (NERSC) Cori supercomputer. This milestone demonstrates that Julia can deliver petascale performance on modern leadership-class supercomputers. Julia developers say the language enables "rapid, interactive prototyping while achieving performance competitive with C, C++, and Fortran" while also sparing the coder from using third-party accelerators. Celeste generated the first comprehensive catalog of visible objects in the universe by processing 178 terabytes of survey data, with Cori and the Julia app working together to load and analyze the dataset in just 15 minutes. The Julia app executed an 8-billion parameter Variational Bayesian Inference analysis covering 188 million stars and galaxies, which marks a 100-fold boost over previously documented results. Researchers at the University of Sydney (USyd) in Australia have collaborated with Microsoft and Stanford University to develop an essential quantum computing component using topological insulators. "Manipulation of these materials provide a pathway to construct the circuitry needed for the interaction between quantum and classical systems," the researchers say. The USyd team constructed a microwave circulator to ensure electrical signals only propagate in one direction, clockwise or counter-clockwise, as demanded. The team thinks its miniaturization of the circulator by 1,000-fold will clear a path for many circulators to be integrated on a chip and mass-produced to build practical quantum computers. They say the miniaturization relies on slowing the speed of light in the insulators, and USyd professor David Reilly sees this upscaling as providing a much-needed push toward a working quantum system. "Realizing a scaled-up quantum computer will require the invention of new devices and techniques at the quantum-classical interface," Reilly notes. Researchers at the University of the Basque Country (UPV) in Spain and Facebook have separately developed unsupervised machine-learning techniques for teaching neural networks to translate between languages with no parallel texts. Each method employs as training strategies back translation and denoising; in the first process, a sentence in one language is approximately translated into the other, then translated back into the original language, with networks adjusted to make subsequent attempts closer to identical. Meanwhile, denoising adds noise to a sentence by rearranging or removing words, and attempts to translate that back into the original. The UPV method translates more frequently during training, while the Facebook technique, in addition to encoding a sentence from one language into a more abstract representation before decoding it into the other language, also confirms the intermediate language is truly abstract. 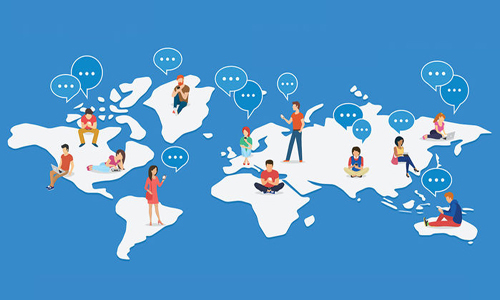 When translating between English and French in a vast sentence database, both systems received a bilingual evaluation understudy score of about 15 in both directions, compared to Google Translate, which scores about 40, and humans, who can score more than 50. Researchers at Nanyang Technological University (NTU) in Singapore have developed the world's smallest cyborg insect, which they can control to move in four directions at the click of a button. The researchers attached a tiny computer to the back of a darkling beetle that measures only about 2.5 centimeters long and weighs 0.5 grams. 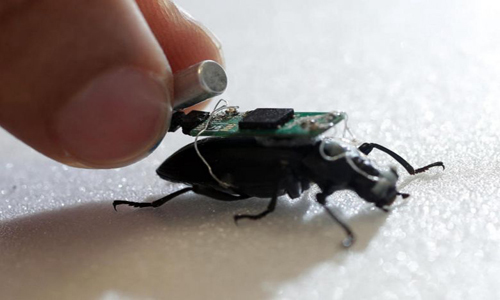 The team uses a remote control to send electrical pulses to the beetle's antennae through implanted silver wire electrodes; the pulses mimic those the insect would naturally feel when its antennae touch an object. Two 1.55-volt coin cell batteries can operate the computer continuously for up to eight hours, but the researchers plan to extend that time to three days using a biofuel cell, which can generate power using glucose in the insect itself. The team also is developing sensors to detect carbon dioxide, temperature, and the vibration of heartbeats. More than 75 percent of Android applications contain at least one third-party tracking tool, according to a joint report from Yale University's Privacy Lab and French research organization Exodus Privacy. The researchers analyzed the mobile apps for the signatures of 25 established trackers that collect personal information from users for tailored ads and services. Tracking plugins were found in some of the most popular apps on the Google Play Store, including Tinder, Spotify, Uber, and OKCupid, which employ Google's Crashlytics service. The researchers also found less popular trackers such as FidZup, which can glean deeper insights on user behavior and location. The Yale researchers are using their findings to urge app developers and Google to support "increased transparency into privacy and security practice as it relates to these trackers." They say their results should be worrying to scholars, privacy proponents, and security researchers, and warn Apple's App Store may be similarly rife with trackers. Reuters' new Reuters Tracer system can mostly automate the identification of breaking global news by sampling the Twitter data stream both randomly and from human-curated sources, and then applying a clustering algorithm to find multiple conversations that could signify news events. In the next step, Tracer uses several algorithms to classify and prioritize events, including by location via a database of cities and keywords. Veracity is determined by tracing the source via the earliest tweet in the conversation mentioning the topic and any sites it points to, and then Tracer consults a database of known fake news producers; the final step is to compose a headline and summary, and circulate the news across Reuters. Tracer processes 12 million tweets daily, feeding approximately 20 percent into about 6,000 clusters that are categorized as different types of news events. Tracer's developers say it can cover about 70 percent of authentic news stories from 2 percent of Twitter data. A team of University of Washington (UW) researchers won the $500,000 Alexa Prize for developing the best social bot, an algorithm that uses artificial intelligence to find interesting topics for users and the Amazon Echo to discuss. The winning bot, called Sounding Board, was able to keep a conversation going for an average of about 10 minutes. Sounding Board and other social bots have all of the Internet's knowledge at their disposal, enabling them to examine a wide range of articles and facts, says UW doctoral student Ari Holtzman. As part of the competition, the UW social bot and the other finalists--from Czech Technical University in Prague and Heriot-Watt University in Scotland--were given text readouts of some of the conversations that did not go well. The researchers used that information to tweak their algorithms to make the conversations better, and part of the challenge was teaching the algorithm to recognize what a complex sentence actually means. 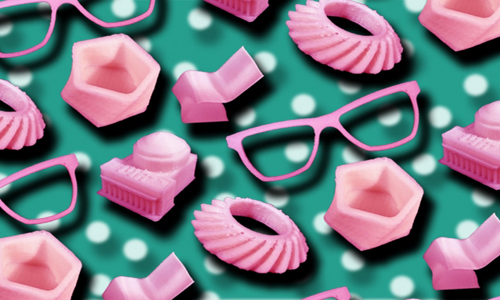 Engineers at the Massachusetts Institute of Technology (MIT) have created a desktop three-dimensional (3D) printer that is up to 10 times faster than current off-the-shelf models. The speed is due to a compact printhead, which features both a screw mechanism that feeds polymer material through a nozzle at high force, and a built-in laser that quickly melts the material so it can flow faster through the nozzle. MIT professor Anastasios John Hart says the new printer could help enable "applications in emergency medicine, and for a variety of needs in remote locations." Hart and co-developer Jamison Go dispensed with pinchwheels in their design, and Hart notes with the screw mechanism "we have a lot more contact area with the threaded texture on the filament." He also says laser-heating melts material faster than conventional 3D printers' conduction process, and a high-speed gantry mechanism enables the printhead to keep up with the extruding plastic's feeds. Researchers at Harvard University and the Massachusetts Institute of Technology's (MIT) Computer Science and Artificial Intelligence Laboratory (CSAIL) have developed origami-inspired muscles that strengthen soft robots, enabling them to lift objects that are up to 1,000 times their own weight using air or water pressure. "Now that we have created actuators with properties similar to natural muscle, we can imagine building almost any robot for almost any task," says Harvard professor Rob Wood. Each artificial muscle features an inner "skeleton" that can be made of various materials, surrounded by air or fluid and sealed in a plastic or textile bag. A vacuum applied to the inside of the bag initiates the muscle's movement by causing the skin to collapse onto the skeleton, creating motion-driving tension. "One of the key aspects of these muscles is that they're programmable, in the sense that designing how the skeleton folds defines how the whole structure moves," says MIT CSAIL's Shuguang Li. Oak Ridge National Laboratory (ORNL) recently obtained the Atos Quantum Learning Machine (QLM), a quantum computing simulator that can simulate up to 40 quantum bits (qubits) and enable researchers to create qubit-friendly algorithms. ORNL researchers say the QLM simulator is a conventional computer that enables developers to write programs that will work on quantum computing hardware. It can be programmed in the Atos Quantum Assembly Language (aQasm), which enables programmers to write code at the level of quantum gates. ORNL also has helped develop its own quantum computing framework, called XACC, which supports several languages and offers a high-level application programming interface for performing the quantum computing offload. The researchers also are working to develop systems based on trapped ion technology. ORNL Quantum Computing Institute director Travis Humble says the research is aimed at exploring the landscape of quantum computing devices and developing system software and applications in anticipation of useful commercial systems. Researchers at the University of Southern California's (USC) Information Sciences Institute are developing PipeFish, an autonomous robot that can quickly and inexpensively detect damage in water pipes. The robot, created by USC professor Wei-Min Shen, is inserted into the water system through existing fire hydrants. 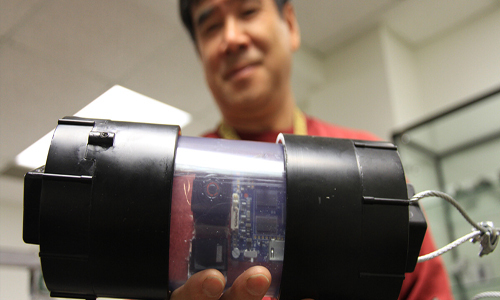 The device captures real-time video, using sensors and navigation technology to collect data and log its position as it moves through the pipes. "Instead of excavating and replacing every pipe, which is a huge expense, PipeFish can narrow in on specific problems to enable repair before serious damage occurs," Shen says. After retrieving the robot, the researchers upload and analyze the data to detect warning signs of defects inside the pipe. The researchers say they plan to program a "school" of PipeFish to travel along specific paths, enabling early and inexpensive detection and repair of water pipes in order to ensure clean, safe drinking water. A team of researchers, including one from Arizona State University (ASU), has devised a new algorithmic technique for predicting human mobility that is scalable, using calculations based on empirical data from cellphones and global-positioning system records. The researchers found most people have a tendency to travel to "attractive" sites they have visited before, no matter the size of a region. "The new mobility prediction method is important because it works at both individual and population scales, regardless of region size," says ASU professor Ying-Cheng Lai. "Until now, different models were necessary for predicting movement in large countries versus small countries or cities." Lai says information collected via the new process could be important for a wide diversity of prediction tasks, ranging from charting the potential spread of disease to urban transportation planning to location planning for services and businesses such as restaurants, hospitals, and police and fire stations.